This Creamy Mushroom Soup will Convert You to a Mushroom Lover! 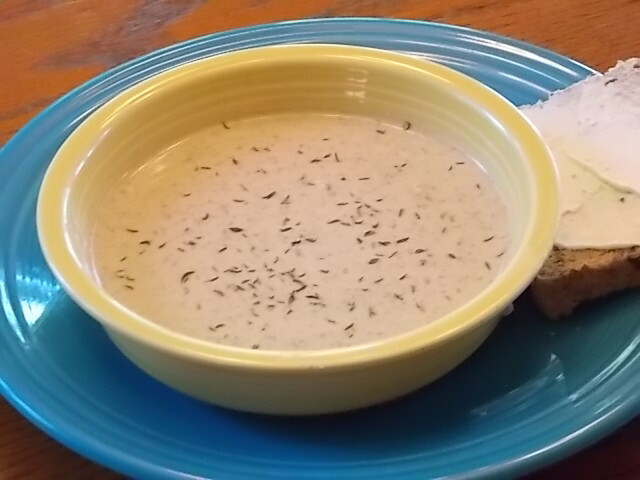 It is kind of ironic, for those that know me, that I would choose to feature this delicious Creamy Mushroom Soup on our LC Foods recipe page. Up until a few months ago, I didn’t really eat mushrooms, even picking out the pieces that somehow made it onto my plate. But given that mushrooms are very nutritious and are a good source of B vitamins and minerals, I decided to give them another try. 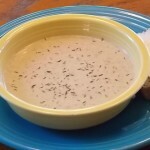 And I’ve discovered that I like them (in moderation), but I LOVE this Creamy Mushroom Soup. It’s easy to make, tastes yummy and fits into the low carb lifestyle. Serve it with a kale salad, and a slice of our fresh baked low carb White or Multi Grain Bread for a great low carb meal that everyone will love. Enjoy!